For many, buying a home is the most important and largest investment one can make. Chivaho offers a variety of low fixed rate mortgage options for your primary residence or second home. Our goal is to provide the highest level of service at competitive rates. Our Mortgage Loan Officers are only a phone call away if you need help. Contact us at 740-775-3881. Are you looking to renovate your home or consolidate debt? A Home Equity Loan from Chivaho FCU can help you leverage your home's value and accomplish your goals at the same time. You can borrow against the value of your home with a fixed rate option that allows you to budget your monthly payments. Our goal is to help you find the perfect Home Equity Loan so you can move forward with "piece of mind". 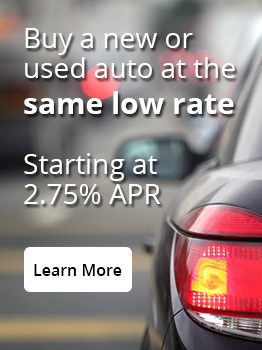 Contact the loan department for current rates and complete details. An FHA loan is a mortgage loan approved by a lending institution and guaranteed by the Federal Housing Administration. These loans have competitive interest rates and are most beneficial to those who may not easily meet the credit and down payment requirements of a conventional loan. VA loans are a type of insured first mortgage loan available specifically to veterans and can provide up to 100% financing. For VA housing loan purposes, the term "Veteran" includes certain members of the Selected Reserve, active duty service personnel, and certain categories of spouses. Learn more about how you can obtain a VA Home Loan by contacting one of our Mortgage Loan Officers at 740-775-3381.